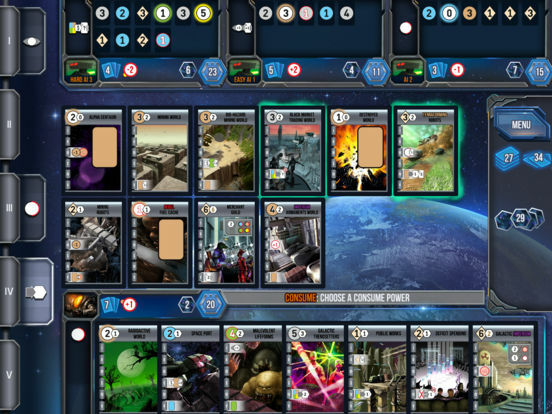 I don’t understand why it’s so difficult for digital board game conversions to get tutorials right, but it’s a common problem that Race for the Galaxy unfortunately hasn’t avoided. Also tiny text. Still, once you (eventually) figure out and get used to the icons, as well as the various types of strategies, it really is a great game. I really do wish it was more welcoming to new and out of practice players, though. Temple Gates has moved at a rapid pace. 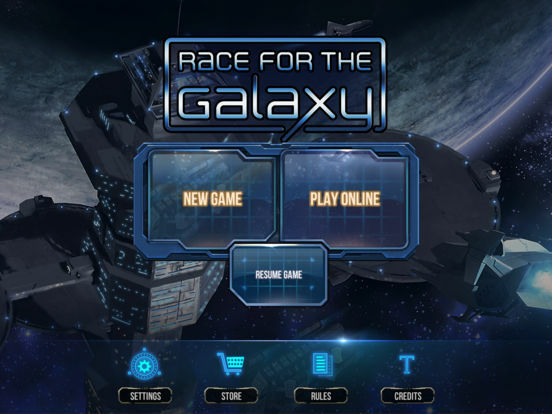 Whereas other board game conversions are meandering through their base versions months down the line, Race for the Galaxy is almost ready to host its third expansion (Brink of War) this month. That level of support that makes me confident in the app's future, not to mention the already solid base it's running right now. If you wanted to pick fault with this, it would be a lack of any kind of single-player campaign. 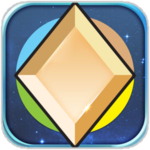 But that's a nice to have, an extra feather in the hats of the creme de la creme of mobile adaptations like Galaxy Trucker. It isn't necessary in an economic game like this. And however you feel about economic games - and player interaction - this version of Race of the Galaxy is good enough to be worth your cosmic dollars.